﻿ Fun Easy English - Environment - Global warming - Climate change Indicators: Health and Society. 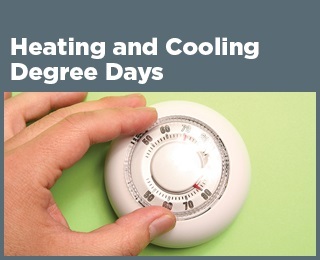 Heating and Cooling Degree Days - Heating and cooling degree days measure the difference between outdoor temperatures and the temperatures that people find comfortable indoors. As the U.S. climate has warmed in recent years, heating degree days have decreased and cooling degree days have increased overall, suggesting that Americans need to use less energy for heating and more energy for air conditioning. This pattern stands out the most in the North and West, while much of the Southeast has experienced the opposite results. Length of Growing Season - The length of the growing season for crops has increased in almost every state. States in the Southwest (e.g., Arizona and California) have seen the most dramatic increase. In contrast, the growing season has actually become shorter in a few southeastern states. The observed changes reflect earlier spring warming as well as later arrival of fall frosts. 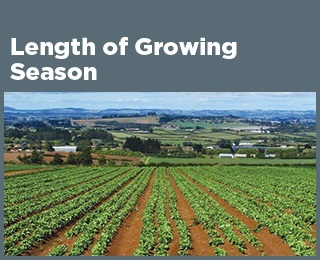 The length of the growing season has increased more rapidly in the West than in the East. 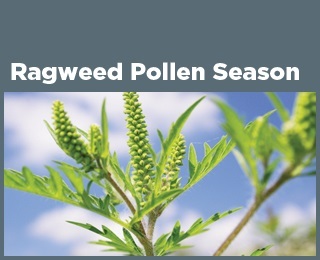 Ragweed Pollen Season - Warmer temperatures and later fall frosts allow ragweed plants to produce pollen later into the year, potentially prolonging the allergy season for millions of people. The length of ragweed pollen season has increased at 10 out of 11 locations studied in the central United States and Canada since 1995. The change becomes more pronounced from south to north. Heat-Related Illness - From 2001 to 2010, a total of about 28,000 heat-related hospitalizations were recorded across 20 states. Annual heat-related hospitalization rates ranged from fewer than one case per 100,000 people in some states to nearly four cases per 100,000 people in others. People aged 65+ accounted for more heat-related hospitalizations than any other age group from 2001 to 2010, and males were hospitalized for heat-related illnesses more than twice as often as females. Lyme Disease - Lyme disease is a bacterial illness spread by ticks that bite humans. Tick habitat and populations are influenced by many factors, including climate. Nationwide, the rate of reported cases of Lyme disease has approximately doubled since 1991. The number and distribution of reported cases of Lyme disease have increased in the Northeast and upper Midwest over time, where some states now report 50 to 100 more cases of Lyme disease per 100,000 people than they did in 1991. West Nile Virus - West Nile virus is spread by mosquitoes, whose habitat and populations are influenced by temperature and water availability. The incidence of West Nile virus neuroinvasive disease in the United States has varied widely from year to year and among geographic regions since tracking began in 2002. Variation in disease incidence is affected by climate and many other factors, and no obvious long-term trend can be detected yet through this limited data set.